Have you ever wondered what is a hoverboard and the history behind it? The current version of hoverboards is a hands-free mode of transportation. They resemble a highly stylized and motorized skateboard without wheels. Celebrities, adults, and children alike enjoy the current popular version of a hoverboard. Today, a hoverboard is one of the most popular personal transportation devices. Let’s take a quick look at the rise and development of this hoverboard. There have been several variations of a hoverboard throughout history. And the device and term were popularized by the movies Back to the Future II and III released in 1989 and 1990. In these movies, a hoverboard looked like a skateboard without wheels. While there are currently similarities to a skateboard, a hoverboard is so much more than that. Since 2002, there have been several advancements in personal transportation devices. This is because of the improvements in battery, motor, and control technologies (Source). These advances have led to different iterations of a true hover device, but none were very effective. Underwriters Laboratories have termed them personal e-mobility devices. And different governments have used variations of this term for legislative purposes. 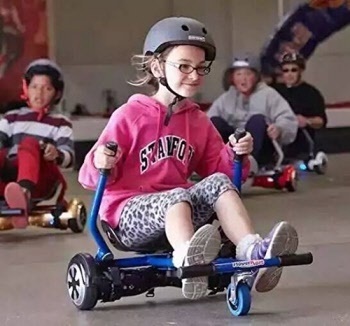 It is argued that self-balancing scooters are not true hoverboards because it is on wheels and does not hover above the ground. But, despite that, hoverboard is still the most popular term used to describe the device. The boards became increasingly popular in 2016 as well as the term hoverboard. And as hundreds of sellers entered the market, the price of hoverboards fell quickly. 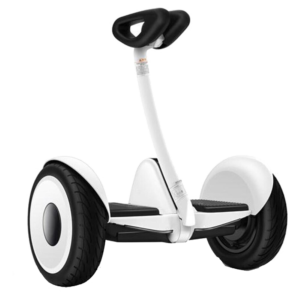 Modern self-balancing scooters are powered by battery packs. The rider (driver) controls the direction of the board by twisting the pressure pads. And he or she controls the speed by leaning forward or backward. Related Article: How Do Self-Balancing Scooters – Hoverboards – Work? These self-balancing boards are pretty easy to use, but you can hurt yourself if you aren’t careful. And as they are electrical devices, there is the potential for fires and damages from hoverboards if they were made with inferior components. In 2016 there was a massive recall of hoverboards. This was due to overheating batteries which caused hoverboards to catch fire. These problems were because of volume manufacturing and little regard for safety standards. But, manufacturers have been taking increasing precautions to reduce the risks to buyers. And they have started adhering to safety standards for the personal e-mobility industry. In November 2016, the Underwriters Laboratories published the 1st edition of its standards. The USA and the Standards Council of Canada (SCC) both adopted the ANSI/CAN/UL 2272 – standards for Electrical Systems for Personal e-Mobility Devices. This standard was formerly the “Electrical Systems for Self-Balancing Scooters”. The UL expanded the standards to cover all type of personal e-mobility devices. These hoverboard manufacturing standards outline the requirements to meet electrical and fire standards. They impact batteries and other hoverboard electrical components. UL 2271 certification for the Lithium-Ion rechargeable batteries that power the devices. This release followed their first hoverboard certification in May 2016. Related Article: Are Hoverboards Safe? What is a hoverboard today and buying a Hoverboard? There have been many advances in hoverboard technology. And with that, an increasing number of manufacturers. 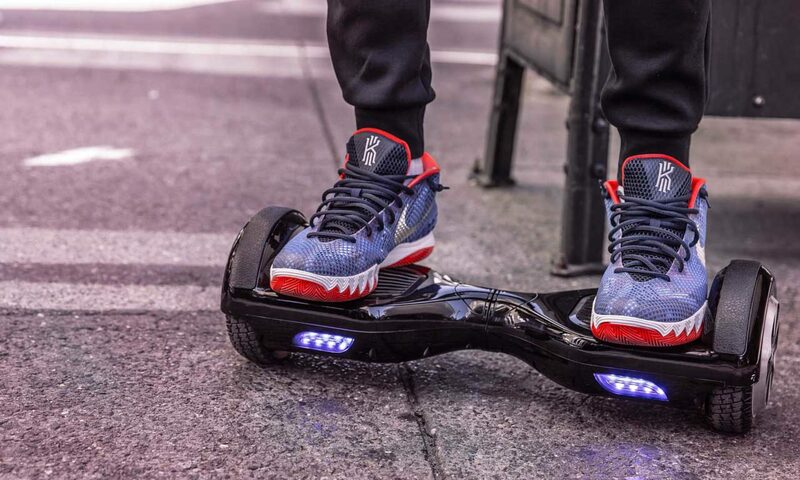 Today, there are hundreds of hoverboard sellers across the world – in-stores and online. So, you must know how to identify the best sellers of hoverboards. This is also important here in Canada where we had several verified scams for hoverboard sellers. But, more manufacturers are adopting the UL safety standards. And this is making it easier to find UL certified hoverboards in stores or online. Plus, hoverboard manufacturers continue to work to improve the hoverboards on offer as well as the designs. They have come a far way from their inception and humble beginnings. So, go ahead. Find the right hoverboard seller and enjoy your personal self-balancing scooter. Good article. I have always found it odd that the hoverboard as we have it now does not “hover” like say a hovercraft. I wonder what the actual “hoverboard” will be called when it is finally developed.